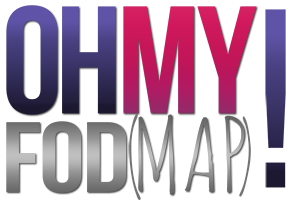 I started this blog as an outlet for myself as I navigated the early stages of being put on a low FODMAP diet. I decided to make it a public blog when I realised how much I needed and appreciated the ability to read other people’s experience with this diet and with IBS online, and how useful being able to access support through groups on Facebook and so forth was to me, especially in the early stages. For more on this, please click here. When it comes to the FODMAPs and to IBS, I am just a run of the mill patient, trying to figure my way through the world. I am most certainly not a dietician, and nothing listed on this website is intended to act as medical advice. It is simply a charting of my own experiences and findings. Everyone is different, and before making any changes you should consult with a qualified dietician or medical professional. My best in sharing my honest experiences with the low FODMAP diet and with IBS. This may mean that my posts aren’t always perky, but I will do all I can to balance every low with at least a lesson, if not something positive. I believe that this is a journey, and personal health and diet is something that is continually evolving in today’s world as we learn more and more every day. This blog is designed to reflect my own experiences in the hope that this may help others feel like they aren’t alone (as I found so helpful when I first started), and as part of this, I will do my best to bring my own personal lessons, insights and motivational tools to this blog for your information. Of course, all thoughts and ideas are related to my own personal experience, and you should always consult a medical professional on your own personal circumstances before making any major lifestyle changes. I want to know more about FODMAPS and IBS, what should I do? Your GP is always a good place to start. But if you want to do your own research, make sure you are looking at only credible sources. I have placed some links in the USEFUL LINKS page of this blog which should help you get started.